Savona Equipment is your source for new & used culvert for allowing water to flow under a road, railroad, trail, or similar obstructions. Culverts may be used to form a bridge-like structure to carry traffic. 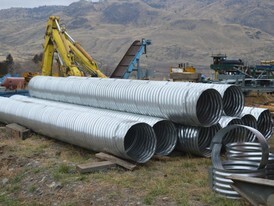 We sell Culverts made of concrete, galvanized steel, aluminum, or plastic, typically high density polyethylene. 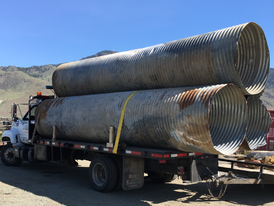 Our Culverts are for sale worldwide including North, Central, and South America, Eastern and Western Europe, North, West, East, and South Africa, Australia and the Middle East. 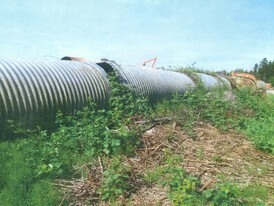 48ft x 10.5ft Diameter Multi-Plate Culvert. 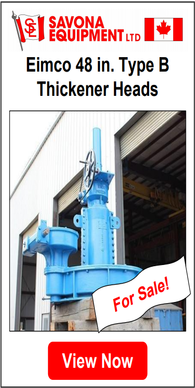 Comes in 12ft lengths, with nuts and bolts. 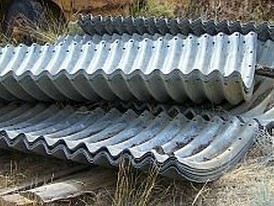 Used Galvanized Culvert. 6 ft. dia. 7 - 20 ft. Lengths.